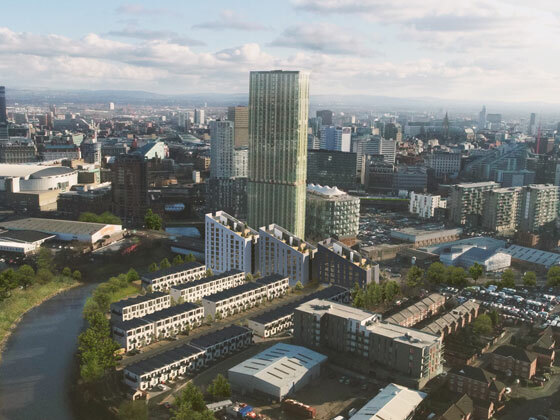 We’re delighted that our scheme to complete the development of Urban Splash’s Irwell Riverside site was approved by Salford planning committee last month. The three tiered blocks, arranged in formation along Trinity Way, contain one hundred and fifty-six apartments and are topped by roof gardens. The scheme further develops shedkm’s strength in design for offsite manufacture and compliments the seventy-two factory-built Town Houses, now nearing completion on the adjacent site.